Prominent & Leading Manufacturer from New Delhi, we offer surgical forcep, lens holding forecep, forceps, forcep, medical forcep and clamps forceps. 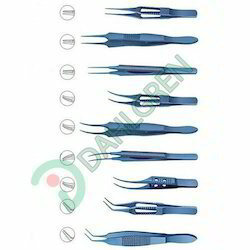 We provide Surgical Forcep to our clients. 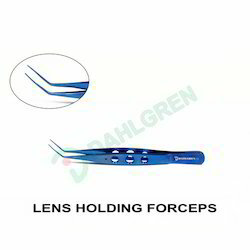 We are the manufacturer, exporter and supplier of premium quality of Lens Holding forcep. These are manufactured from Grade 5 titanium. Owning to the high manufacturing standards, the forcep is in high demand from Ophthalmologists. We provide Forceps to our clients. We provide Forcep to our clients. We provide Medical Forcep to our clients. We provide Clamps and Forceps to our clients. We are the leading manufacturer, exporter and supplier of Girard Corneosacral forcep from India. These are manufactured from titanium Grade 5 and are manufactured from state of the art technology. Owning to the high manufacturing standards, the forcep is in high demand from our buyers. We are the leading manufacturer, exporter and supplier of Kramer Fixation forcep from India. These are manufactured in Grade 5 titanium and are manufactured from state of the art technology. Owning to the high manufacturing standards, the forcep is in high demand from our buyers. These are available in U shape and has 1X2 teeth.